It can be difficult to separate the scarcer Five-spot Burnet from its close cousin the Narrow-bordered Five-spot Burnet. Often in the Five-spot Burnet the two spots in the middle of the wing are merged. 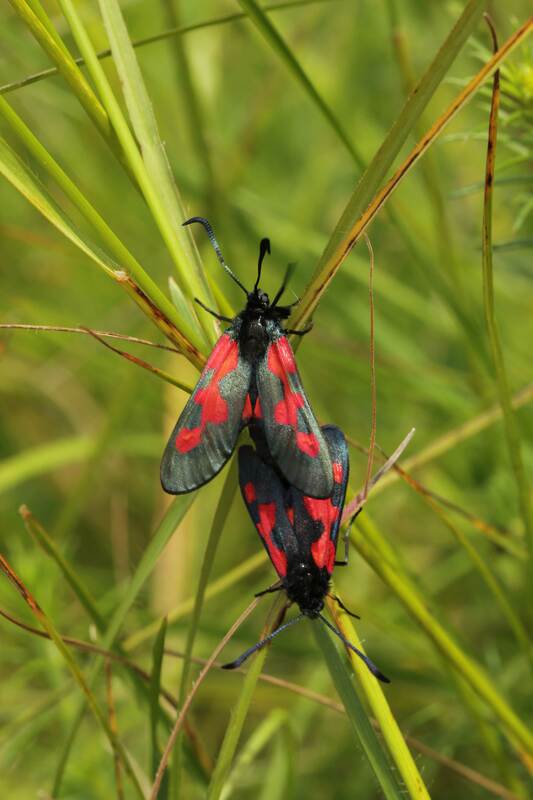 The dark border of the upper hindwing is also broader than that of Narrow-bordered Five-spot Burnet. Rough grassland and chalk downland. Fairly scarce, but may be locally abundant.